Tomatoes are sold by the pound or in packages. 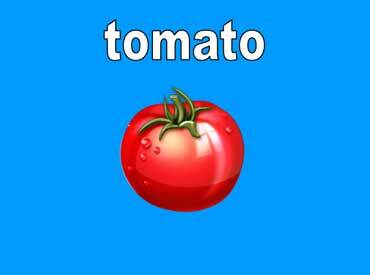 A large red tomato tastes great with salt. 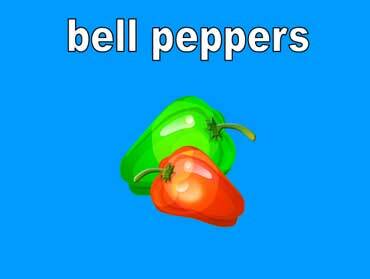 Bell peppers can be green, red, yellow, or orange. Bell peppers are not hot. Bell peppers taste great in salads. 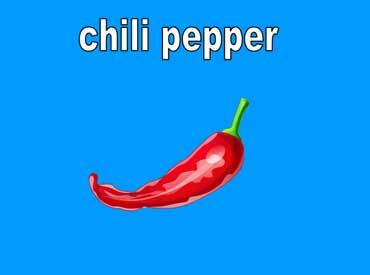 Chili peppers can be red, green, or yellow. Chili peppers range from mild to very hot. They taste great in fajitas. Copyrights to the pictures and photos on this ESL and EL Civics website belong to individual photographers. We have purchased the rights to use them. Contact Christina Niven, ESL teacher, at christina@elcivics.com. Please send corrections, comments, greetings and requests for new lessons. Copyright © Christina Niven, 2007.